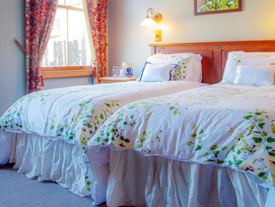 Room Size: 30 m², Bed: 1 king, Feel at home with access to your own shower. 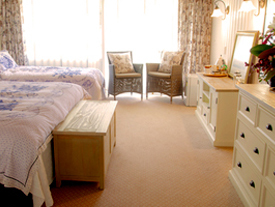 This double room features a patio, a flat-screen TV and tea/coffee making facilities. 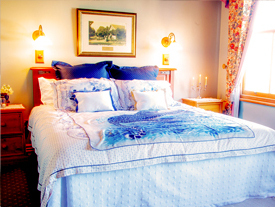 Room Size: 30 m², Beds: 2 twin,Feel at home with access to your own personal shower or bath and toilet. Feel at home with access to your own personal shower or bath and toilet. 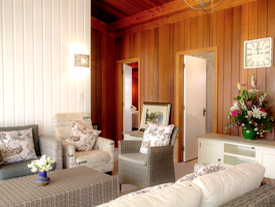 Chalet Size: 55 m², 2 Bed rooms, Feel at home with access to your own personal bath and toilet. This chalet features a patio, a kitchenette and a dining setting. *Hot Springs open to the public from 7:30 am to 7:00pm, Seven days a week. *Cost is $16.50 per adult, $8.00 per child and $3.00 per pre-schooler. Guests can access the Hot Springs by taking a 300-metre walk down the pathway, through the trees. There are changing rooms and toilet available to use down at the Hot Springs.